Sorry there is no public parking at the studio. 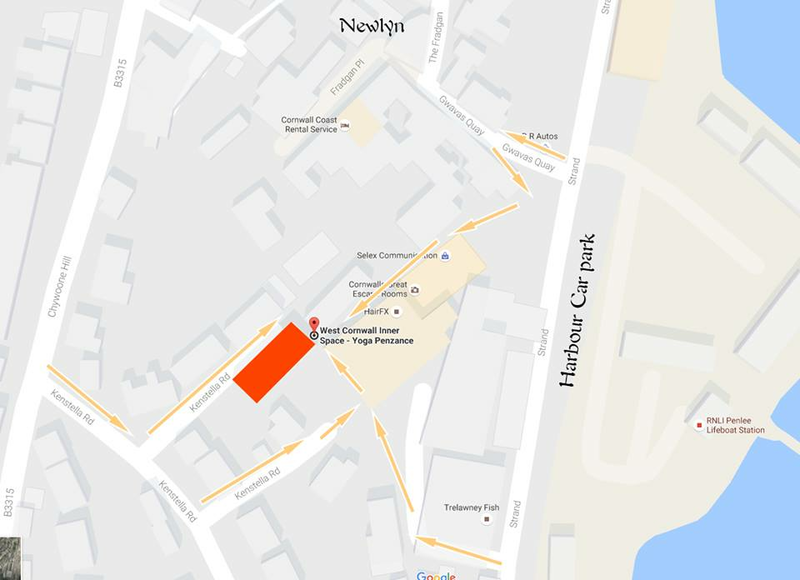 Use the harbour car park or the free parking adjacent on the road. Look out for Harbourside Physiotherapy and RS Fitness which are visible form the road :) walk up past Harbourside Physiotherapy and the gym on Wesley Place TR18 5AZ and you will see our sign we are at the top of the lane.